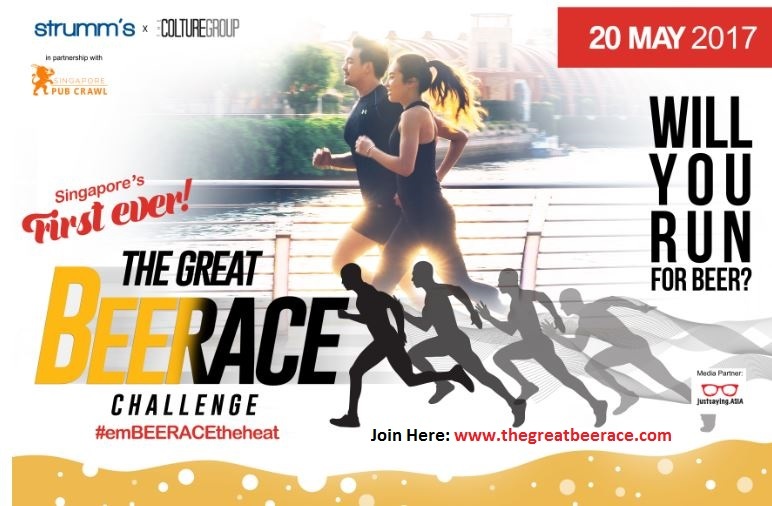 The Great Beer Race 2017 | JustRunLah! Are you a pub crawler? Whether a returning crawler or just planning to join any of Singapore Pub Crawl's events, just pay the fee of $50 that includes registration for two (2) persons. If you plan to visit any of our outlets, all you have to do is: spend of $50 in a single receipt - yes, you read it right! It is all that you need for you and your partner to take part in this race. After spending $50 at any of our outlets, just inform any of our friendly staff that you want to join the race, and you're good to..ready..get set..and go!! !